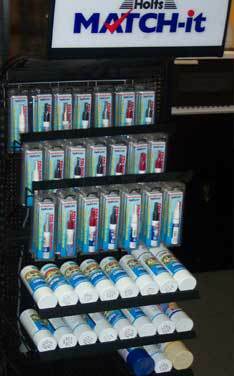 With the right display stand you can be sure to increase profit for your business. 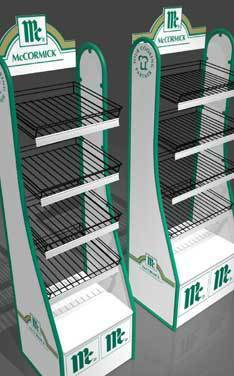 Customers will be happy to see well placed and highly visible professional looking stands. This will save your business time and money. We understand that every business is different, so the one display stand approach for all businesses simply doesn’t work. Rather Nelson Alexander will require a real estate display stand and Woolworths will require a product display stand of sale display. Our high quality products are only made possible by our high level of services displayed by all of our dedicated team members at Advanced Displays. Many display stands are manufactured from light metal or thick wire which requires spot welding to keep it in the required shape. Some businesspeople will visualise the type of display stand they need and have it designed from their idea by professionals who use CAD drawings as well as actual samples of the product. This way any design flaws can be captured and corrected before the product goes into the production stage. This saves a great deal of time. We offer these spot welding services to you so you can be guaranteed your product will be ready with minimal delays. Our professional design and manufacturing team works closely together to produce the product of your standards. We can produce the product using a variety of materials giving you great choice as to what you like best. In our team we have spot welding professionals who will make wire or metal products right here on site. This means we don’t need to bring in anyone else to do the work. Overall our welding service offers weld repairs and maintenance, wire product cut bend weld, metal cut bold and metal weld fabrication. With our welding service, you save a lot on time and money because you get your product sooner than if other companies were involved. With fewer companies involved it means less time is spent on producing your product. We will look after your project from beginning to end ensuring no mistakes and no delays. Having also at our disposal, the latest steel laser cutting machines we can cut and bend sheet steel, plastic and timber. This means your products can be made of many different materials. We truly are the experts in supplying and manufacturing custom made metal display stands through our sheet metal fabrication services. With over 50 years of experience in sheet metal fabrication, we aim to always meet the deadline through our strict quality monitored display stand production process. For the manufacturing of our point of sale merchandise (POS) we use laser cutting. You will notice that our high level laser cutting skills will make your custom design stand out to your audience and be the envy of other businesses. Advanced Displays was established back in 1948, so we have vast experience and expertise in manufacturing display stands and products which best suit your business needs. We strongly abide by 100% quality for all our products.